Do you love Sebamed and want to make some serious cash on the side? STEP 1: Sign up for a Sebamed account on www.sebamedusa.com. 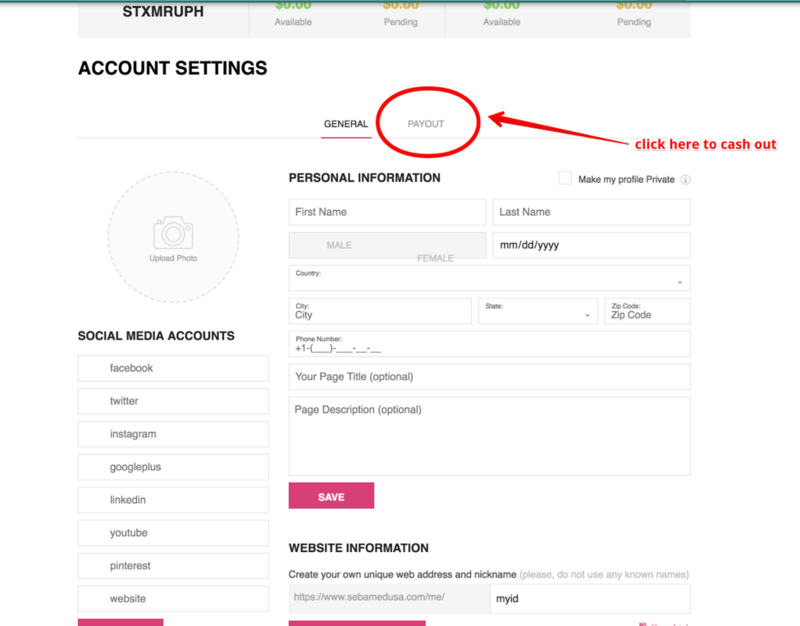 STEP 2: Once you have created your account, you will automatically have your own personal referral code and personal referral link. You can see each of them in your dashboard. 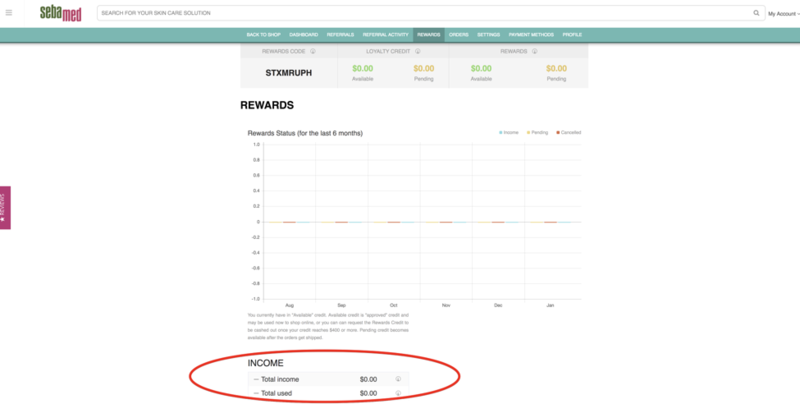 STEP 3: Share your personal code or your link with friends and family and earn $$ with every referral who makes a purchase. STEP 4: Earn money (for you and your referral) in several ways. 1.) When your referral makes a purchase using your referral link or code, they receive $10 off their orders of $99 or more, or $5 off orders under $99. 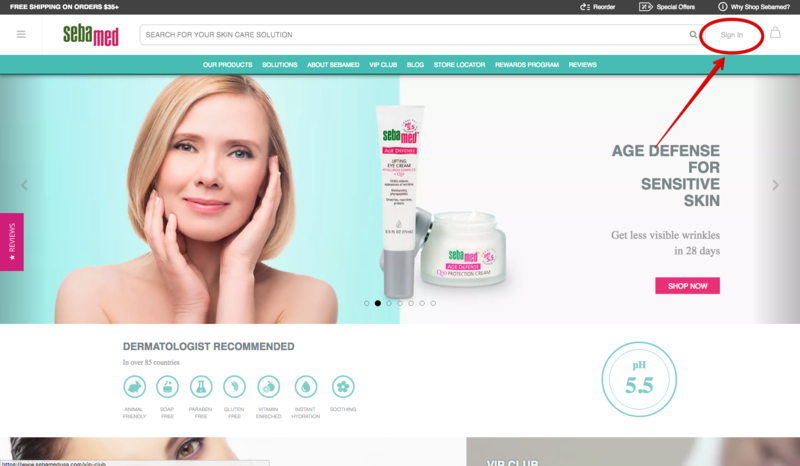 They also receive 5% loyalty credit added to their Sebamed account. You earn Rewards Dollars (3% of your friend’s purchase amount, excluding shipping). You will earn these Rewards Dollars for all future purchases your referral makes. 2.) Earn Rewards Dollars from your friends’ referrals (up to 3 degrees of separation)! For example: You refer your mom (Friend A), and she makes a purchase for $99. She gets $10 off her first order, and you get 3% in rewards dollars. Your mom (Friend A) refers your Aunt (Friend B). When your Aunt (Friend B) makes a purchase for $99, she gets $10 off her order, and your mom (Friend A) gets 3% in rewards dollars. YOU receive 2% in rewards dollars even though your Aunt (Friend B) isn’t your direct referral. When your Aunt (Friend B) refers her sister (Friend C), the cycle repeats. You end up with 1% rewards dollars of Friend C’s purchase, even though your Aunt’s sister was not your direct referral. *You will get the above percentages of each single person in your group for a period of 365 days. After 365 days, you will get 1% from each person in your group for an unlimited period of time, for as long as the program is in effect. 3.) Cash out your Reward Dollars every time your account hits $400. We’ll deposit the money directly into your Paypal account. Imagine having 5, 10, or even 100 referrals! You earn Reward Dollars for all future orders of not just your friends, but their friends! STEP 5: Sit back, relax, and watch your rewards grow! We want to make it as easy as possible for you to refer friends and earn some money. Therefore, you can create your own custom URL on www.sebamedusa.com and choose your own user ID. 1.) Sign in to your SebamedUSA account, and click on PROFILE. From here, you will see a section where you can fill out your personal information. 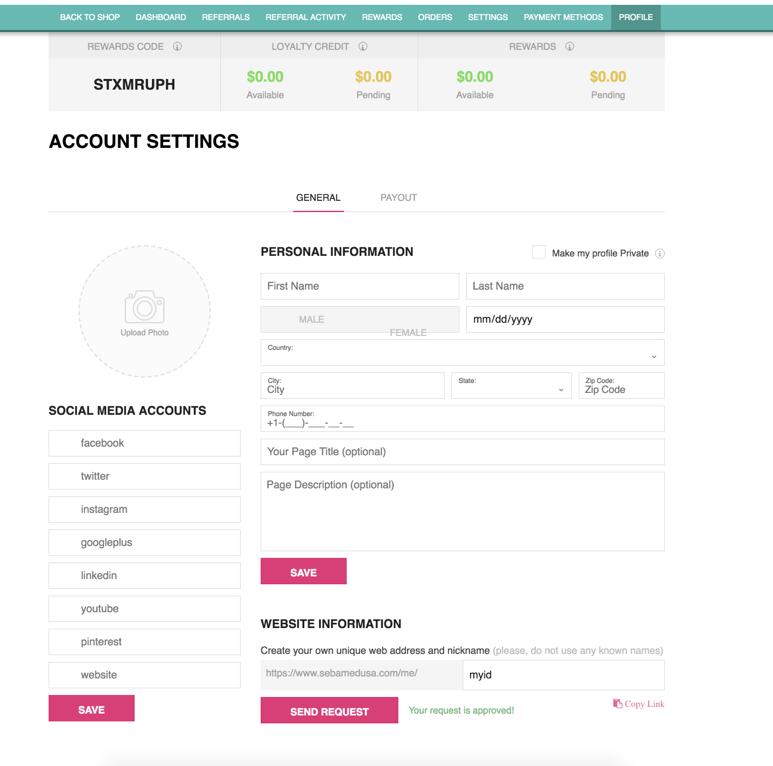 You will also see a section where you can create your own unique web URL and nickname. Type in the nickname you wish to secure, and hit “Send Request” for approval. 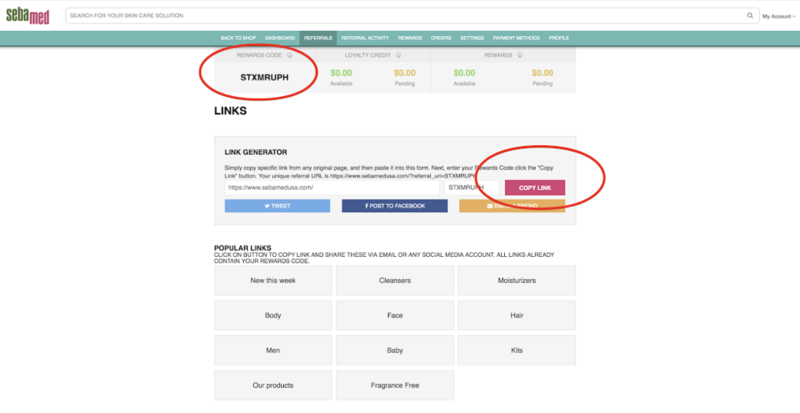 Once Sebamed approves your unique web URL, you can “Copy Link” to share your page link with your referrals. 1.) In this same profile section, click PAYOUT. 2.) Connect your Paypal account to your profile for a quick and easy cash-out of your rewards dollars. 1.) 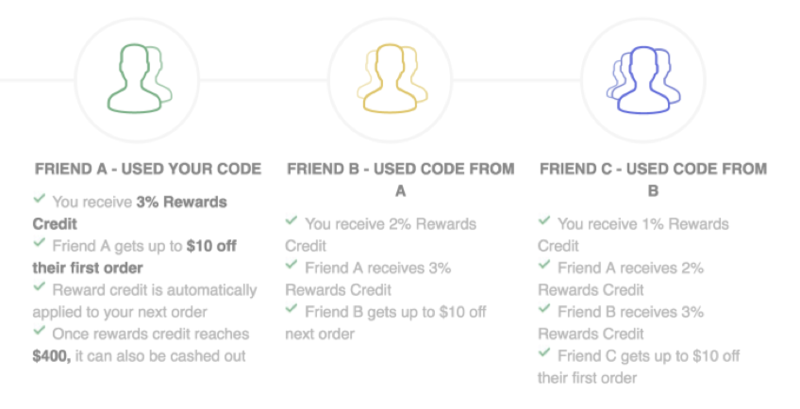 How do I share my referral code or referral link? Log into your Sebamed account. Once logged in, you can see your personal code on the top left of the page. When your referral is ready to place an order with SebamedUSA, all they need to do is enter your personal code in the promo coupon field during checkout. 2.) What’s the difference between sharing my link or sharing my referral code? If you provide someone with your referral code, they will need to enter your special code in the promo coupon field during checkout to get their savings off their order and for you to get 3% back in rewards dollars. 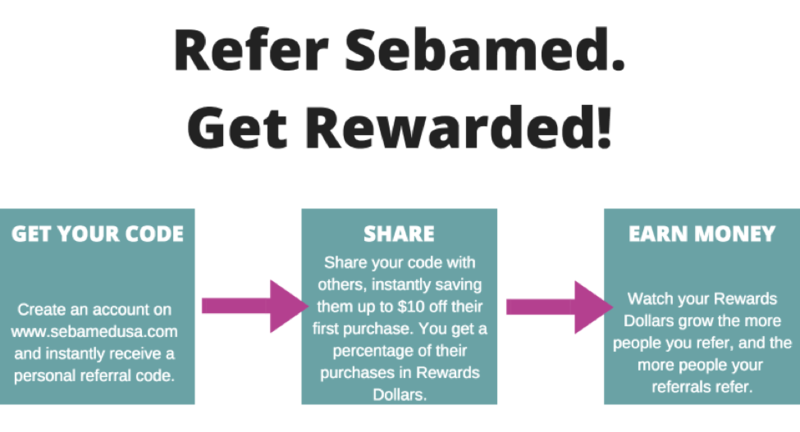 If you share your referral URL with a friend or family member, they can shop off SebamedUSA.com through the link you provided without having to type in a coupon code during checkout. Either way, your referral saves money, and you earn money! 3.) If a referral places an order using my link or code once, do they have to keep using my code or link for all future orders? No! Once your referral places an order with your referral code or using your referral URL, they will automatically be linked to your account for all of their future purchases. 4.) Can I use my own code when I am logged into my account to place orders? No. Your personal referral code and referral link are tied to your email address, so the system will not allow you to checkout using your personal code. 5.) How long will I be able to make money? As long as the program is in effect. 6.) Is there a limit to how much money I can make? No! The beauty of our program is that the more people you refer (and the more people your friends refer), you earn unlimited reward dollars. Once your reward dollars hit $400, we will deposit the funds into your Paypal account. 7.) How much credit can I expect to earn? The amount you earn is totally up to you! The more referrals you have, the more you earn. Imagine having 5, 10 or even 100 referrals. The possibilities are endless. For more details on your rewards, click here: http://www.sebamedusa.com/rewards.